It’s worth mentioning here that to really harness the power of IDE, you have to understand the concept of object oriented programming (classes and objects etc.) and database management, in addition to HTML page-proofs and CSS styles. A good IDE can make coding very convenient for the developer but to be able to code efficiently in it, you need to acquaint yourself with it. 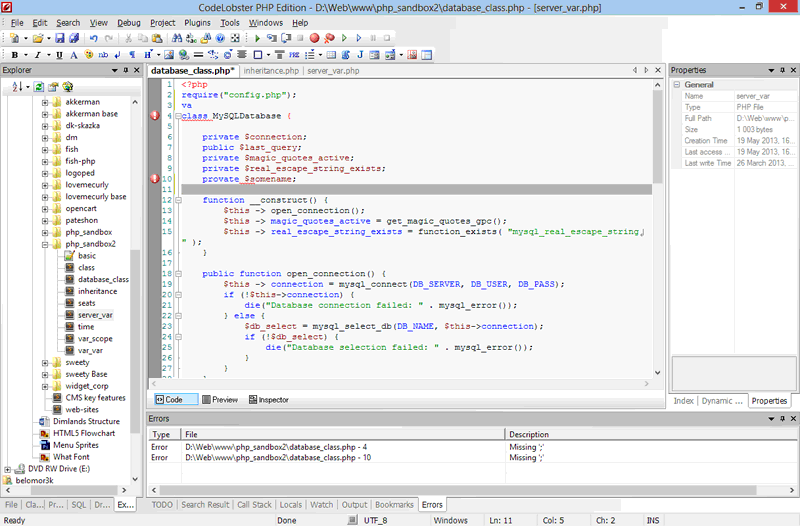 CodeLobster PHP edition continuously scans the written code (as you write it) and will notify you case there is an error; this means that you can be completely sure that your code is correct and accurate. The left workspace contains the file manager along with the classes, methods and objects, which makes file access a lot faster. Popular web and CMS frameworks like CakePHP, CodeIgniter, Drupal, JQuery, AngularJS, BackboneJS, Laravel, MeteorJS, Magento, Joomla, Smarty, Twig, Symfony, WordPress, Yii and Node.js are supported by CodeLobster. All these cool features are available in the software distribution and are free for the first 30 days (Will be available for an additional fee after this period). 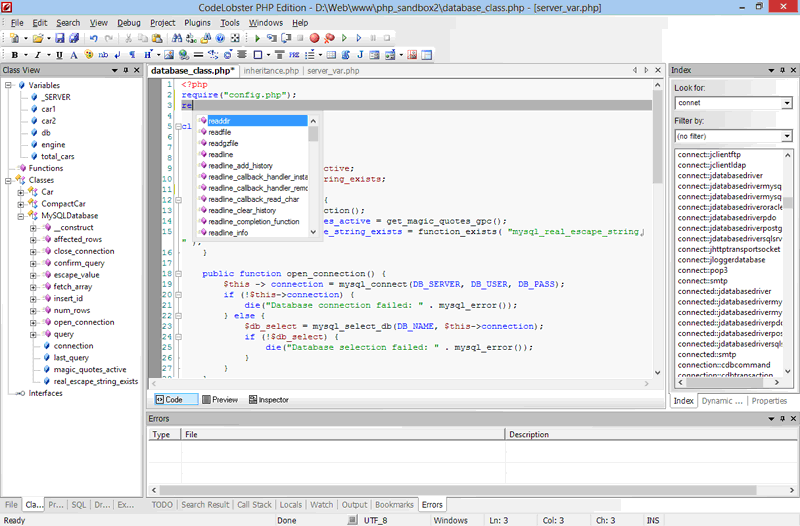 Another exciting feature about CodeLobster PHP edition is that it can be installed as a portable version; so you can keep it on your flash drive or on the cloud and use it wherever you want. 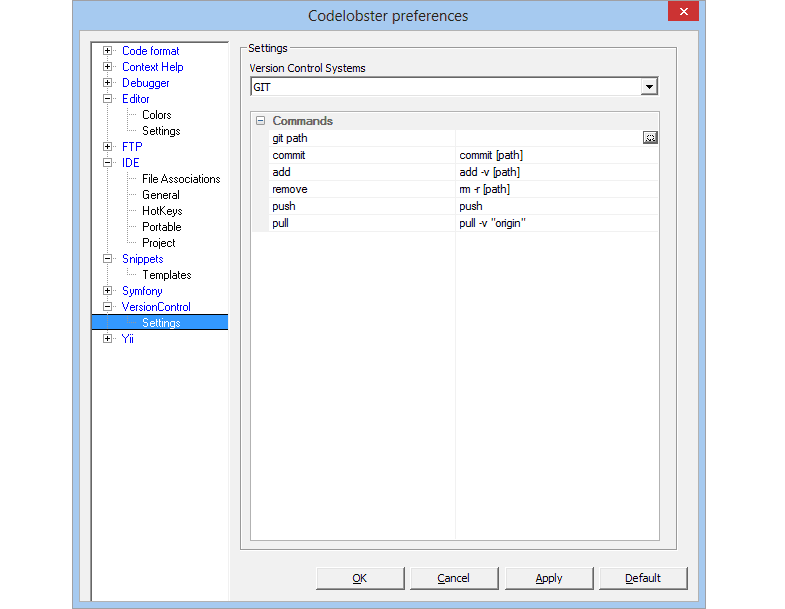 So, if you are a web developer who likes to work efficiently and effectively, then you need to try the CodeLobster IDE, because it is one of the best choices out there!